excuse me, what is 金砂糖? can i added fresh lemon juice? Abt 5g ok? 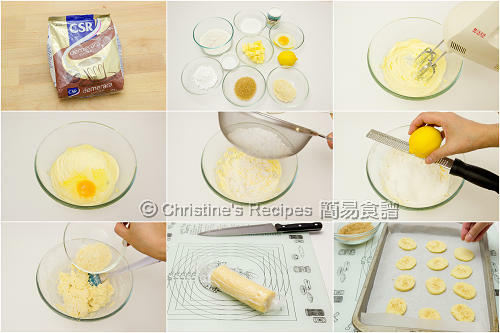 Christine, can I add fresh lemon juice abt 5g? And the flour can use superfine flour? Because I still have some, dun wan waste it, but is it ok to replace? 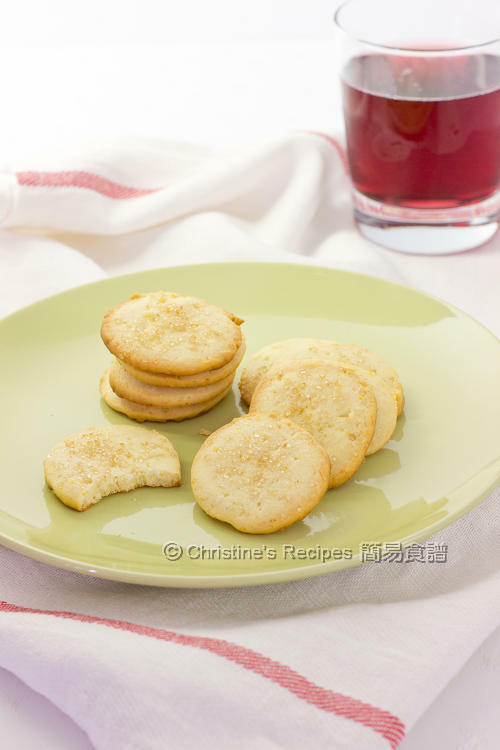 Sure, fresh lemon juice is great, adding a kick into the cookies. 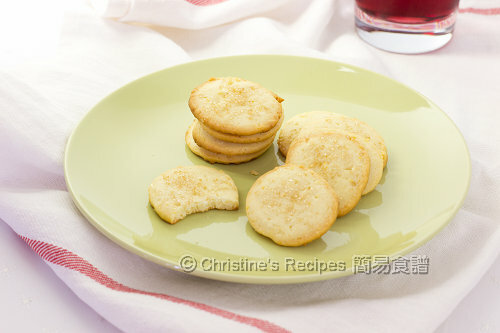 Superfine flour can be use to make cookies as well. is it ok to use this receipt to make 印模曲奇? I live in Canada, so I'm not familiar with the measuring size in grams. Can you convert this recipe into US cups/tablespoons? Thanks. May i ask whats the purpose of putting it in the freezer for 2 hours? Can i skip this step and bake it right away? And usea small spoon to scoop it onto the baking pan? The chilling process will help cookies stay in shape and won't spread easily while baking. You might skip it if you don't want to. Sure, you can use a small spoon instead.